Most of these are fairly fall-dominant recipes, but I’m still making a few of them (like the Vegan Walnut Sherry Vinaigrette) often. Of all the recipes below, only two are mine; number 6 and number 8. The rest are some else’s; I just did the images for it. Remember, that’s what I do in the natural food industry. The best part of shooting recipes, though, is that I get to make them and then test them out as well. Sounds so awful, right?! Before diving into all the goodness that is the gluten-free recipes, I just have to share an incredible, gluten-free “beer” I had this past weekend: Crabbie’s Ginger Beer. Ever had it? Like everything else in life, I’m sure I’m super behind this gluten-free beer game, but dang – so good. It’s fairly sweet, but I loved it. I think actual beer is disgusting, so I’d never buy a gluten-free traditional beer. This, on the other hand, sort of Kombucha-ish. Ever had it? Click HERE to save this list for later. Apple Spiced Fudge Cups. Bite-sized and simple, these Apple Spiced Fudge Cups contain just 5 ingredients yet are filled with a sweet, delightful flavor. Curried Pumpkin Apple Bisque. This soup is so incredibly delicious. Especially during the depth of Minnesota winters, it’s a recipe to make often. Garlic Mashed Potatoes. 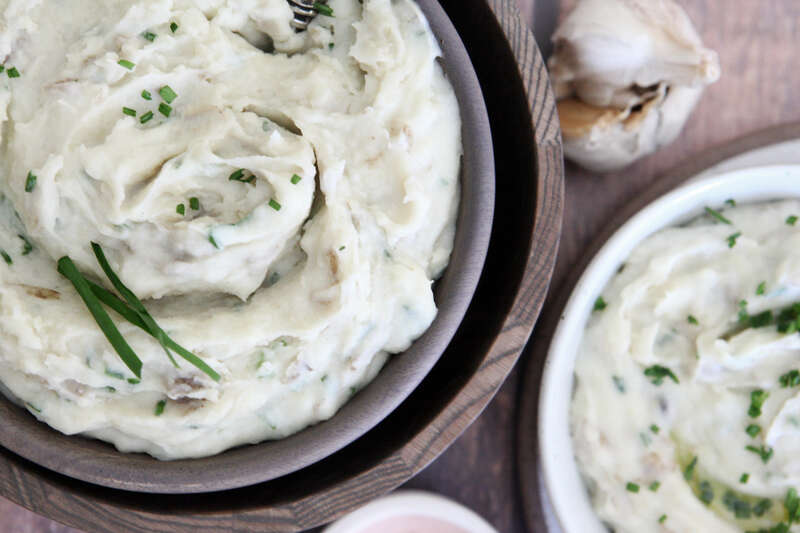 You can’t go wrong with the simplicity and comfort of placing a heaping bowl full of Garlic Mashed Potatoes at the dinner table. Made these for Friendsgiving; they were a hit. Golden Girl Latte. Besides its beautiful color, the Golden Girl Latte will leave you feeling refreshed and energized despite the lack of caffeine. Paleo Banana Coconut Cream Pudding. 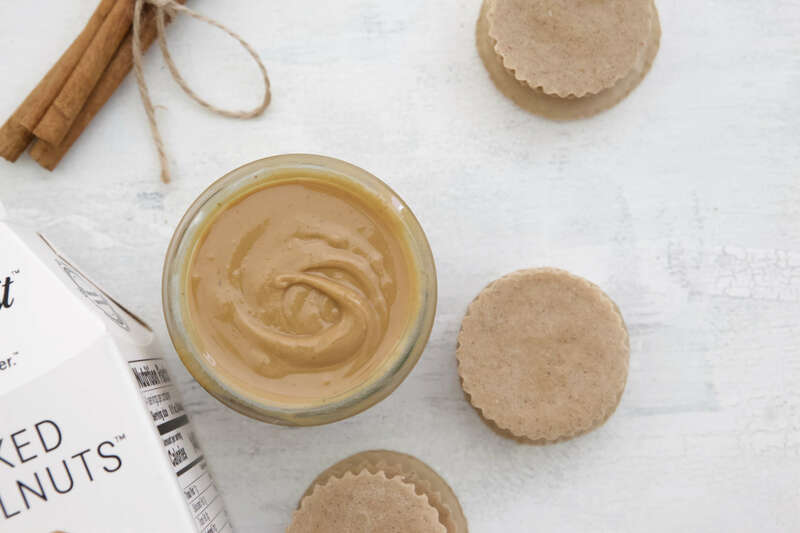 Creamy and delicious, a dessert that couples both as a dessert and gut-healing recipe. 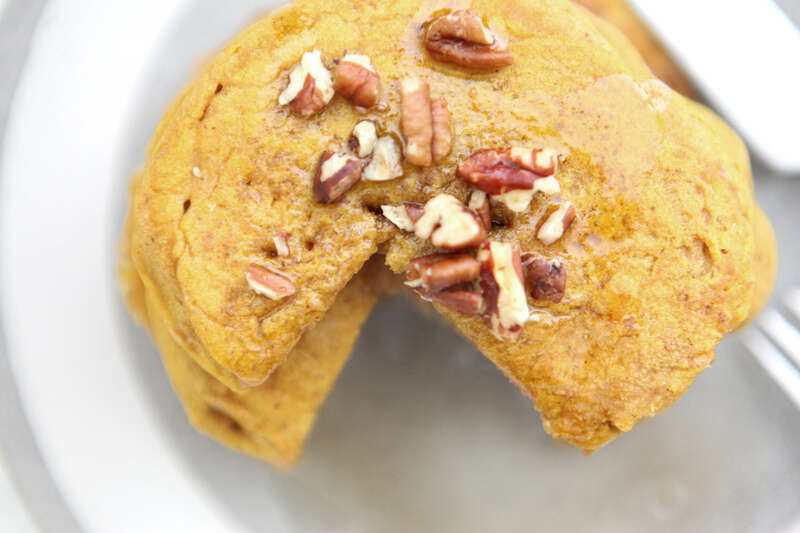 Pumpkin Maple Pancakes. Not my recipe; my images. Holy wow! This recipe is insanely delicious. We are still making it. I double the recipe now because we eat so much of it. 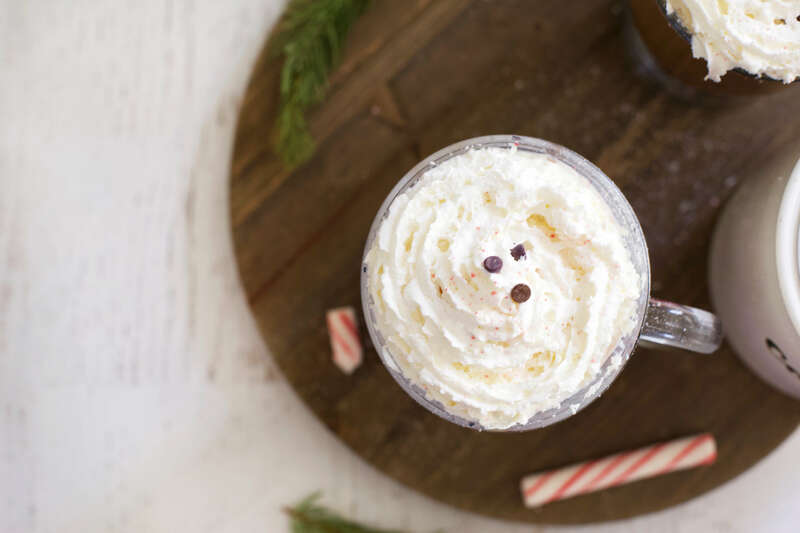 Vegan Peppermint Mocha. The thought of a warm cup of coffee on any given cold day during winter is one filled with comfort. Before now, getting that perfect Vegan Peppermint Mocha using a high-quality, barista-approved plant-based milk was almost non-existent. Elmhurst® Milked Almonds™ Barista Edition makes it possible. p.s. Their Barista editions use no gums or carrageenan. Quite lovely. Vegan Walnut Sherry Vinaigrette. 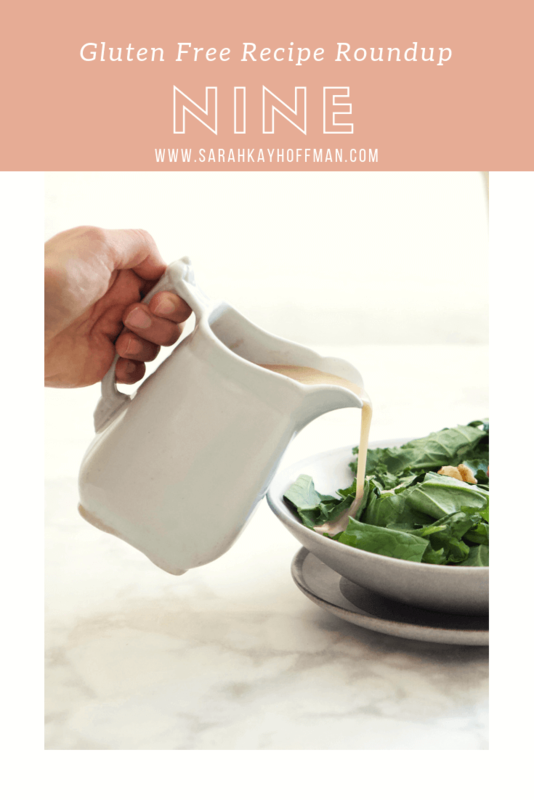 When you find the perfect vinaigrette dressing, it can pair with almost any vegetable, salad, or even as a grain bowl compliment. And that’s exactly what I do with it now. I make up a batch, and pour it over various things every single day. Let me know what you try and what your favorites are. Be sure to share this post on Facebook for friends and family who need some new, gluten free recipes. Click HERE to find previous gluten free recipe roundups.